In the United States, one of the most beautiful national celebrations that we observe is Thanksgiving. 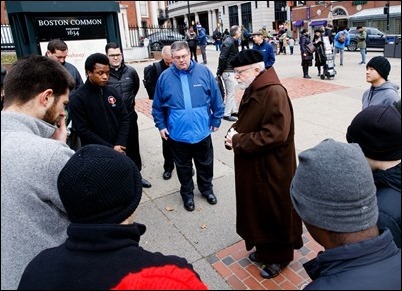 This beloved holiday recalls the early pilgrims who arrived in New England and, after surviving the ravages of winter with the help of the local indigenous population, had a great celebration to give thanks to God for their freedom and the bounty of the land. We have always celebrated this holiday in the fall, and in many ways, it is like the harvest feasts celebrated by many cultures. 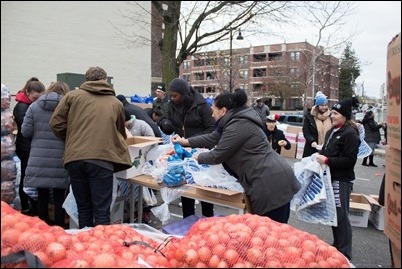 But in the United States, it has always been recognized as a time of gathering families together in the realization that we have been very blessed by God, and that we show our gratitude by sharing those blessings with others. 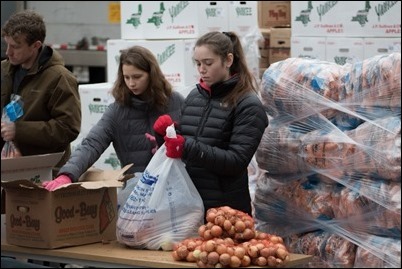 This week, in our own Catholic community, there were many activities in our parishes and other organizations that manifested this practice of sharing our blessings. I was able to participate in two of them. 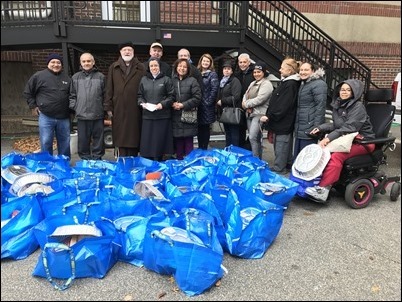 On Saturday morning, I went to the Yawkey Center in Boston where Catholic Charities, in collaboration with the United Way, distributed turkeys and Thanksgiving meals for over 2,000 families. 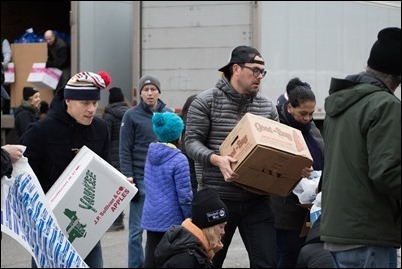 Then, there was another similar event organized at the Cathedral by Father Kevin O’Leary and the parishioners to distribute Thanksgiving meals to many families in need. It was wonderful to see all the volunteers who came out to help at both of those events. 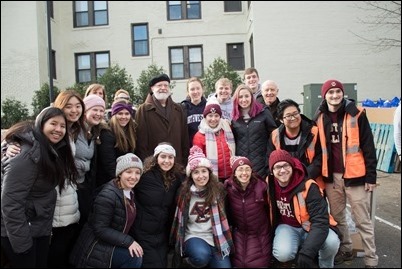 Particularly at the Yawkey Center event, there were many students and young people who came to help with the distribution of the meals. 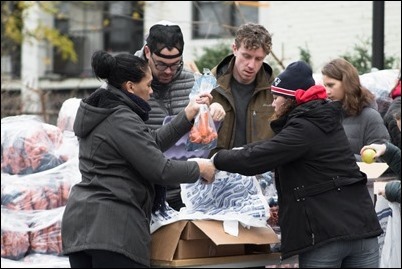 Thanksgiving is truly a time of year when we give thanks, and we learn to give back for the many blessings that we have received. 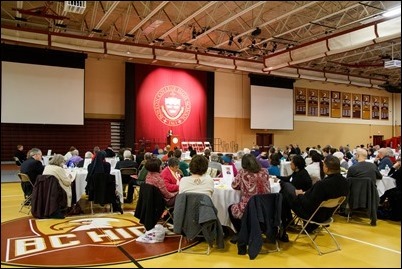 That afternoon, I went to Boston College High School to attend our 10th annual Archdiocesan Social Justice Convocation. 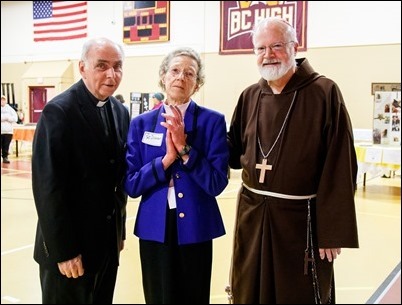 We are so grateful to Pat Dinneen, who was one of the initiators of the convocation when she was a member of the Archdiocesan Pastoral Council, and for all the support that it has received from Father Bryan Hehir. 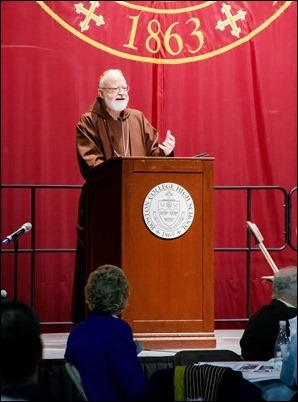 One of the things that we announced during the convocation is the creation of a new Archdiocesan Social Justice Ministry that will be able to bring recommendations to the archdiocese around the many issues related to the social teachings of the Catholic Church. 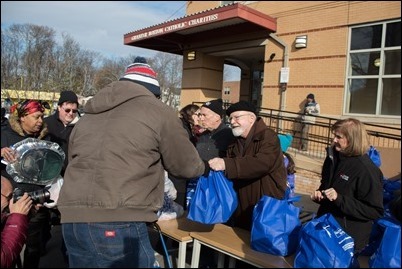 In general, Catholics are very quick to respond to calls to perform the Works of Mercy, but the justice agenda goes beyond simply the Works of Mercy. It addresses the need to change structures in society so that people’s dignity will be respected. 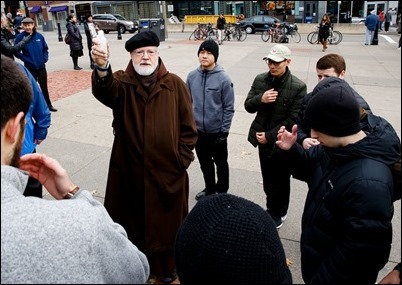 For the Church, the life issues are the centerpiece of our social gospel, but so many of the other social justice issues impinge upon the dignity and protection of human life — income inequality, immigration policies, housing, healthcare and education. 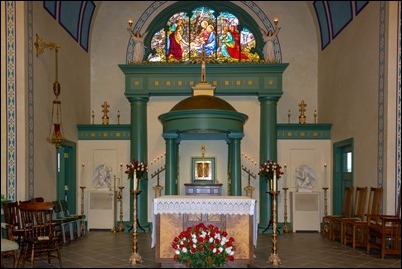 The social teachings of the Church, and particularly of the Holy Father, have been so rich in underscoring the need for Christians to try to build a civilization of love in which the most vulnerable are cared for; a civilization in which people are willing to share the gifts of the earth with those in need, and to help people have the opportunities that will guarantee that they can lead a life of dignity. 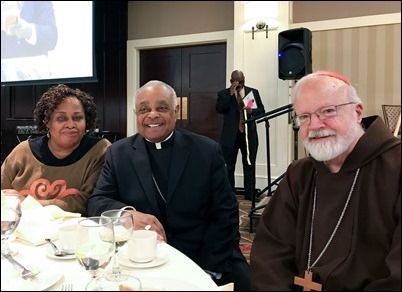 That evening, we had our annual Bishop James Augustine Healy Dinner sponsored by the Black Catholic Ministries of the Archdiocese of Boston. 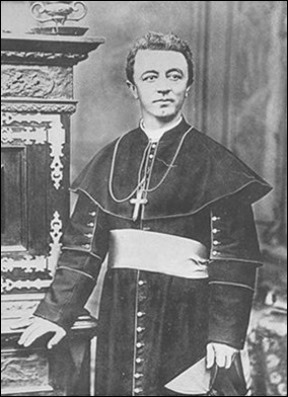 The dinner is named for Bishop James Augustine Healy, who is considered the first black Bishop in the United States. His father was an Irish immigrant and his mother was a mixed-race slave. Because they lived in Georgia in the mid-1800s, their children were not allowed to receive an education, so they sent the children north for schooling. 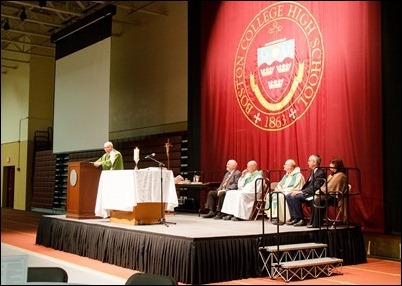 Bishop Healy was sent to the College of the Holy Cross in Worcester, where he was the valedictorian of the first graduating class. 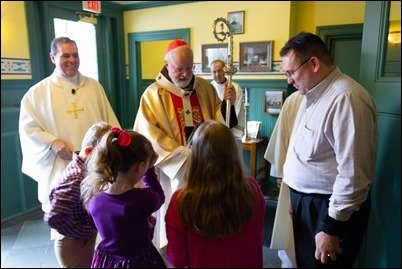 He went on to become a priest of the Archdiocese of Boston and was eventually named Bishop of Portland, Maine. 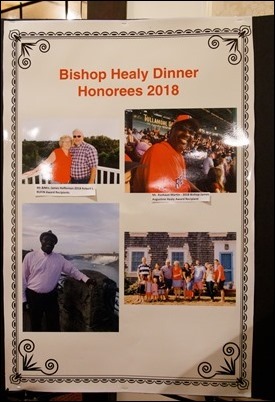 For 25 years we have had this dinner to commemorate Bishop Healy’s legacy and to celebrate the gifts of the Black Catholic Community in the archdiocese. 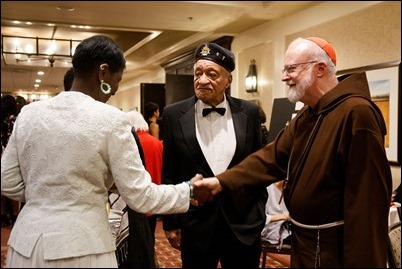 This year, the dinner was dedicated to the memory of Sister Dolores Harrall, SNDdN, who was instrumental in the establishment of the archdiocese’s Black Catholic Ministries. I was so pleased that there were a number of Sisters of Notre Dame there to represent her community. 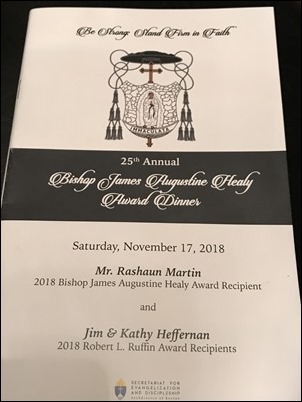 As always, two honors were presented during the evening: the Ruffin Award and the Bishop James Augustine Healy Award. 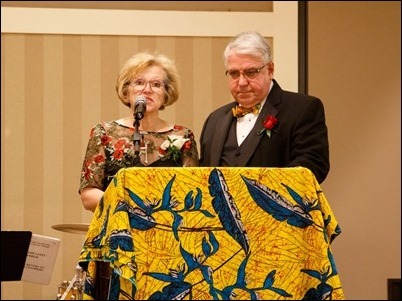 The Ruffin Award, for those who serve the Black Catholic Community and foster educational and mentorship opportunities, was presented to Jim and Kathy Heffernan, parishioners of St. Katharine Drexel in Roxbury. 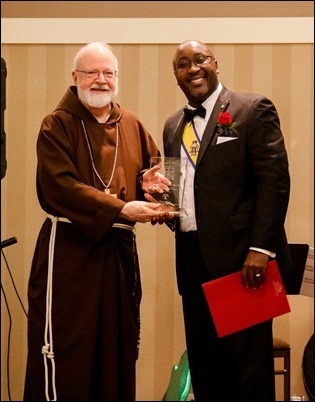 The Healy Award, for leadership and service in the Black Catholic Community, was presented to Rashaun Martin, also a member of St. Katharine Drexel Parish and a Knight of St. Peter Claver. 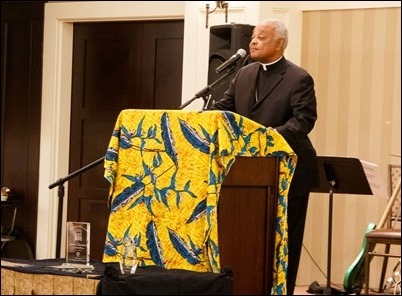 The keynote address was delivered by Archbishop Wilton Gregory of Atlanta. He gave a very eloquent reflection on the contributions of the Healy family as well as a number of black women religious, including Sister Thea Bowman. In my comments, I reminded the people that the previous week the U.S. Conference of Catholic Bishops had voted unanimously to support introducing the cause of canonization for Sister Thea. There was great enthusiasim for that and, in fact, many people there had met her. It was a beautiful evening. 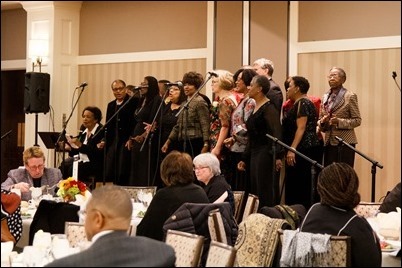 We are very grateful to Lorna DesRoses and her committee who, as always, did an excellent job in organizing this event and to Meyer Chambers and the Archdiocesan Black Catholic Choir, who provided wonderful music for the evening. 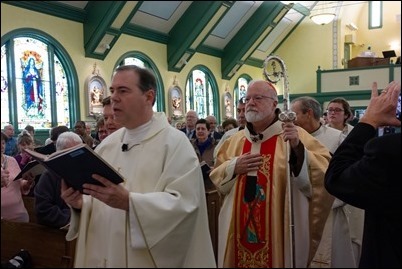 Sunday morning, I went to Billerica for the 150th anniversary of St. Andrew Parish, where the pastor, Father Shawn Allen, and his vicars Father Hal Obayashi and Father Ronald St. Pierre are doing such fine job. 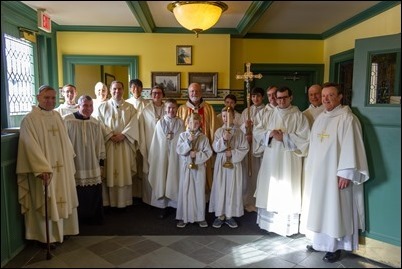 150 years ago, many of the first parishioners were people who were fleeing from the starvation and poverty of Ireland and came to Billerica and, with great sacrifices, created a vibrant parish. 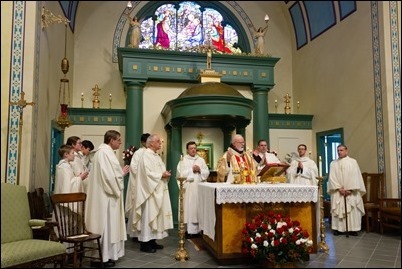 It was fitting that the celebration came in the week before Thanksgiving because parish anniversary celebrations such as this are always a celebration of the faith of the people who built that community. 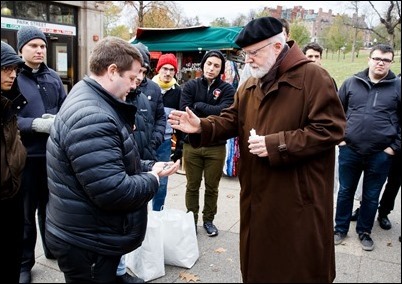 Then, that afternoon I went to the Boston Common to be with seminarians from St. John’s Seminary who distributed food and Miraculous Medals to the homeless and needy as part of the Fratello initiative. 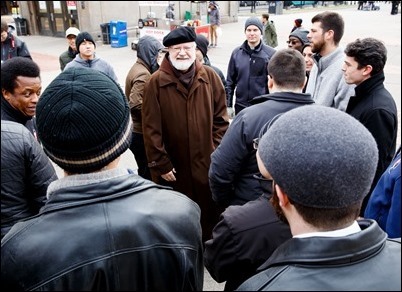 Fratello (which is Italian for “Brother”) is an international organization that sponsors activities and events to mark the World Day of the Poor, which was proclaimed by the Holy Father in 2016. 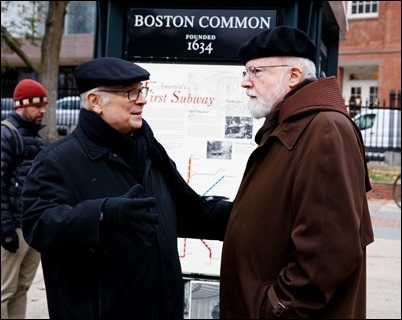 There were activities in 12 different parts the world, including Boston. 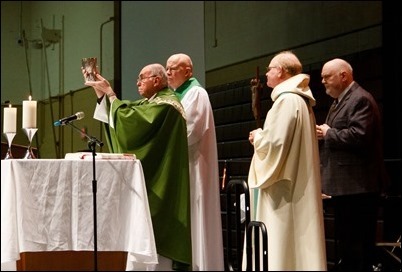 We are grateful to Father Cessario for all his work in coordinating our local observance. Finally, I want to wish everyone a happy Thanksgiving. Like many of you, I will be spending the day with my family. We will have Mass together followed by the family dinner. 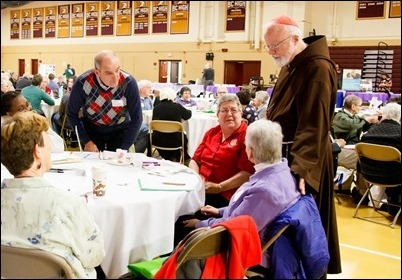 Know that in my prayers I give thanks for all the blessings that God has given to us in the Archdiocese of Boston in the form of our people, our clergy and our consecrated religious. They are truly a blessing for my life and for the Church.